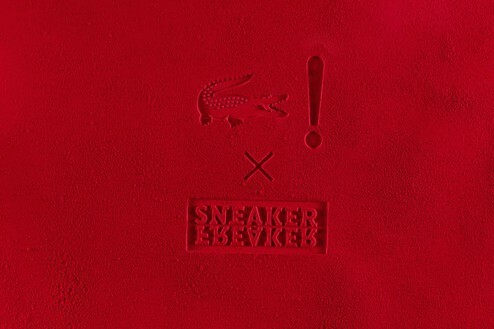 Globally renowned footwear mag, Sneaker Freaker, has revealed the results of its second collaboration with Lacoste L!VE for another stunning individual rework on Lacoste’s 1989 Missouri court shoe. 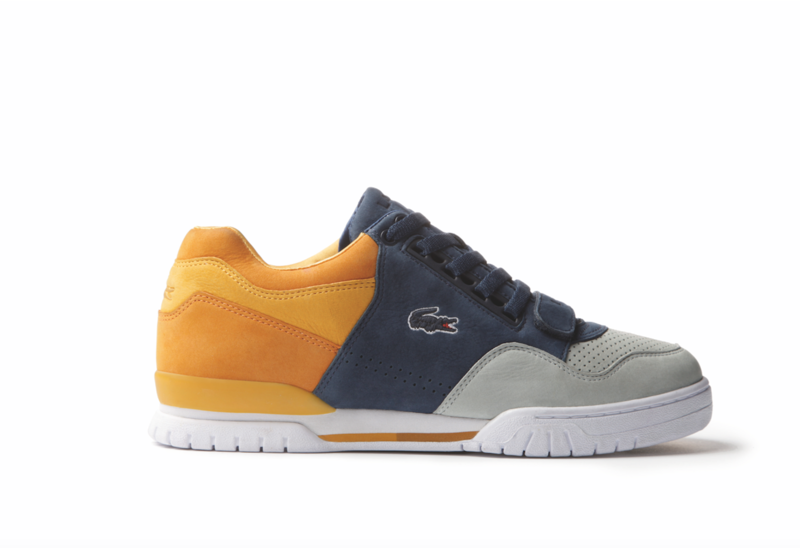 After a successful first ever collaboration between Lacoste L!ve and renowned footwear magazine Sneaker Freaker in 2006, the two powerhouses have returned with another unique take on Lacoste’s signature 1989 Missouri court shoe. Lacoste and Simon Wood, Sneaker Freaker founder, curated the second project to create five styles, including a 500 pairs limited edition global release in cornflower blue and cool grey and a 50 pairs exclusive for Sneaker Freaker shoe that invokes a mellow sunset narrative with deep navy and burnt yellow panels. The final three designs are a result of Wood and Lacoste handpicking three stores from around the world, to do an individual rework on the heritage, all-terrain court shoe. Berlin’s Overkill, Barcelona’s 24Kilates and Moscow’s Fott were selected and their creations are on sale now, but, be quick as there is only 50 pairs of each available. Fott have created an innovative execution based on high visibility. Classic hairy suede is accented with reflective materials on the tongue and counter, while UV details accentuate the laces and branding. Alongside these details, the outsole unit is made from UV rubber, providing a glow in the dark effect when worn at night. The ever-creative Overkill! have envisaged a narrative based on a classic 1968 song “Crimson & Clover”. The upper material, a classic crocodile embossed oiled leather in contemporary mint, represents an aesthetic contrast between the old and new. This is complimented by intricate details such as the four-leaf clover embroidery, lace aglets and custom printed in-socks. Leading sneaker store 24Kilates in Barcelona have taken inspiration from our iconic polo shirt. Mixing classic footwear textiles like ripstop nylon and terry cloth with piqué fabric and shirt detailing such as the custom button and oversized croc embroidery on the counter panel. The range is out now with prices starting at £130.00.